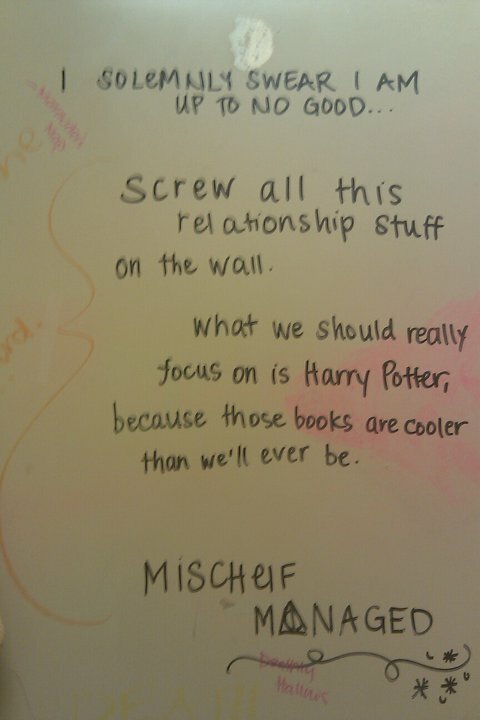 I think Moaning Myrtle would agree. Don’t you? Photo by Valarie Zapata, English Professor at Moreno Valley College. Used by permission. Thanks to Greg Eiselein & Karin Westman for the tip, and to Professor Zapata for granting permission to post this.